Welcome. 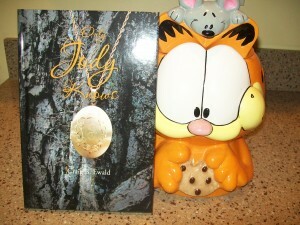 My name is Craig B. Ewald, author of Only Jody Knows. I’m so happy to have you as a visitor to my blog about my new book. This project is very special to me, and I hope to share some of that excitement with you here. I’ll be using this blog to interact with you about Only Jody Knows, expanding on some of the topics in it and posting on some of the ideas related to my book. This is a great place for you to get to know me, and I’m looking forward to getting to know you, too. What did you think of Only Jody Knows? What questions do you have for me? How do you relate to my book? Hey I am hoping you get this. We are planning a small party for Mom and Dad for their 50th!! It will be March 21st at 1:30 pm at Grazianos in Point Pleasant. I know it’s short notice but I wanted to give you and Martha the chance to come if you can. Please let me know! i got it a little late though, but i talked to them on the phone. we had a great time in canada. we will be going there way when kyle retires.